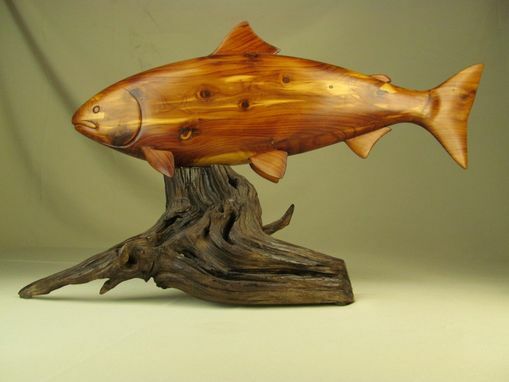 I am offering for sale a carved wooden fish sculpture on a driftwood base. 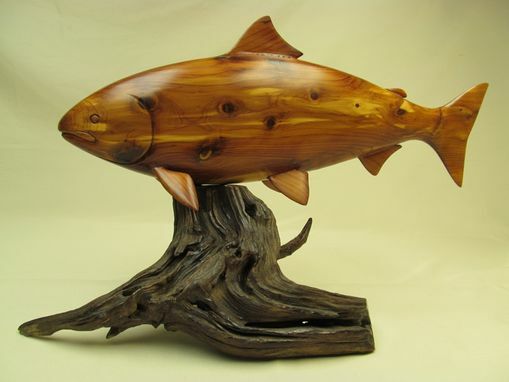 This piece is 13 1/2'' high and almost 22'' long. 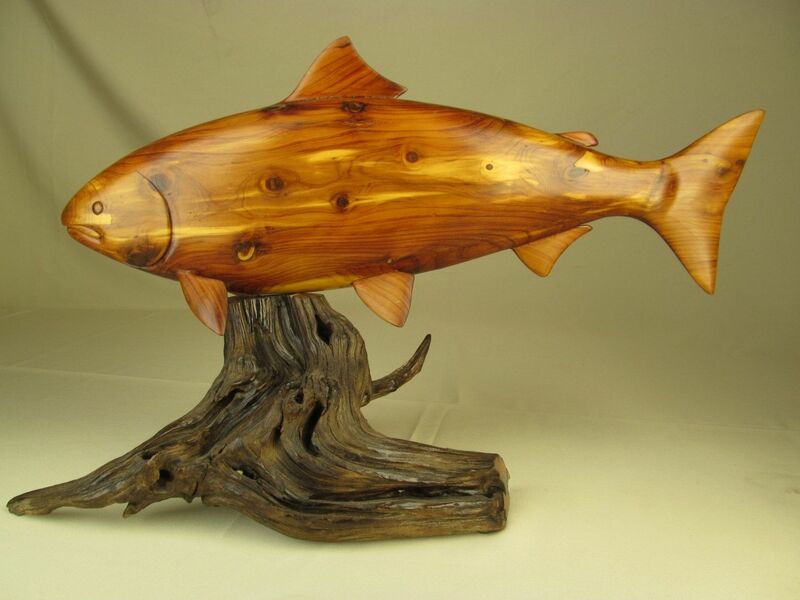 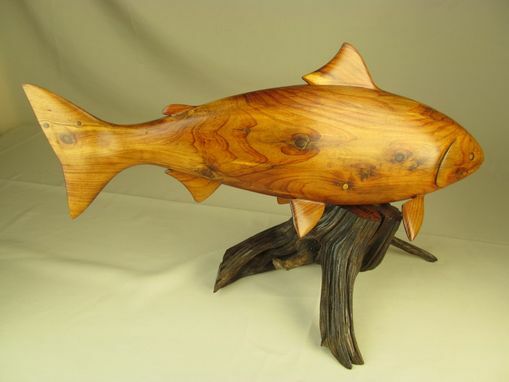 The fish is carved out of Eastern Red Cedar and is attached to the driftwood base in a manner that allows for the fish to be turned a bit in order to allow for some flexibility in display. 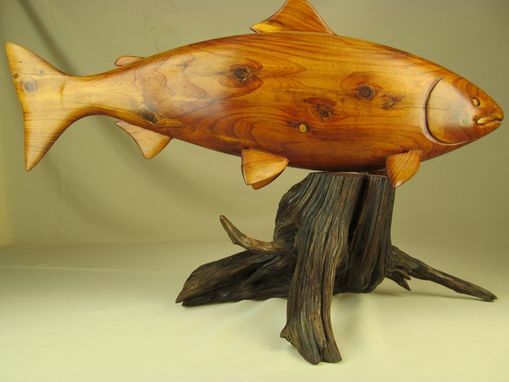 It was done by Robert Morgan, a very talented member of our shop.